Queen Anne Farmers Market is Seattle’s only independent, community-run farmers market. 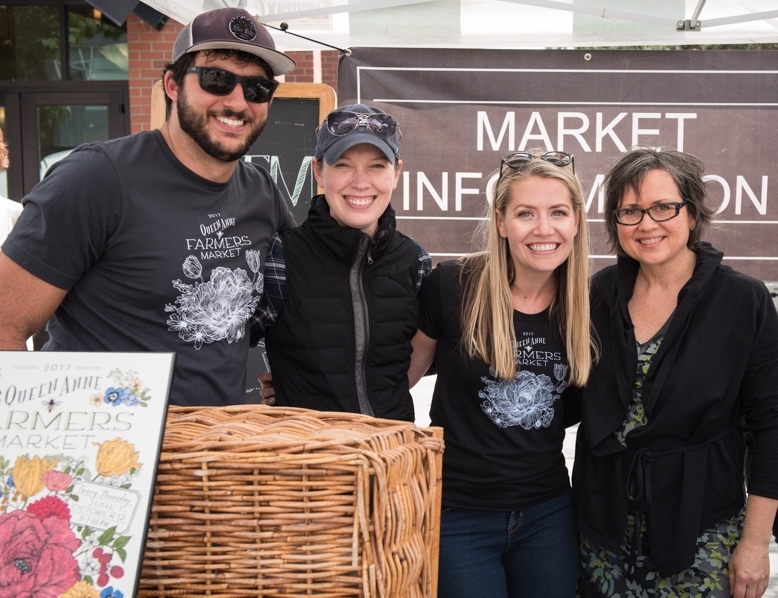 The market takes place every Thursday, from June 7 – October 11, 2018, at West Crockett St. and Queen Anne Ave. N. from 3:00-7:30PM and features all-food vendors comprised of farmers and other local food producers. QAFM includes a dynamic roster of live music, chef demos, and children's activities. Queen Anne Farmers Market owes a debt of gratitude to the Seattle Office of Economic Development (OED)*, with whom we partnered in 2012 to create the QAFM Advisory Board. This board consisted of a broad representation from the Queen Anne community, including business owners, professionals from diverse fields and nonprofit leaders. Working in partnership with OED, the board provided a broad set of recommendations for the long-term health of the market. From outlining steps for financial self-sufficiency, to suggestions for adapting to the evolving needs of the community, the market received invaluable guidance to make the market sustainable for many seasons to come. We thank OED for their support and we look forward to growing the market as a great community resource for our Queen Anne neighbors and the greater Seattle community. *The Seattle Office of Economic Development has oversight responsibility for all of the farmers markets in the city. Queen Anne Farmers Market: Building community, supporting farmers, and championing local. We’re often asked how our nonprofit, independent market came about. Queen Anne Farmers Market grew from a wonderful community brainstorming meeting that we held after a group of neighbors worked hard to save our local grocer, Metropolitan Market’s, place on the hill. Of all the great ideas that day, a farmers market resonated the most with all of us, and a small group formed during that summer of 2006. This group included Dr. George and Anne Counts, Nancie Kosnoff, Kimberly McKittrick, Peter and Tara Lawrence, Maria College, Sally Musseter, Margaret Okamoto and Jessica Vets. After organizing and fundraising for a year, we raised the necessary funds and put all the components in place to get a market up and running in 2007. QAFM has evolved from the dream of a handful of Queen Anne residents into what Seattle Weekly calls “the best farmers market in Seattle.” We look forward to serving our neighborhood for many more great seasons. Right as rain, opening day 2017. phOTO BY K.MAE STUDIO, LLC.